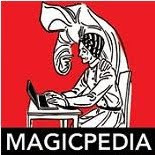 I just found out yesterday that back in 2012, Mandala Magic Magazine had an article about HOUDINI and in the article they spent a little time talking about THIS blog. They also discussed John Cox's Blog and Kevin Connolly's blog as well. It was a pleasant surprise and the article itself was posted to another website by the original author of the piece, so you can read it here. Also, coincidentally, yesterday was my first introduction to the Mandala Magazine itself, even before I found out about the earlier article. I found out they had done an rather extensive interview with David Bull of Le Grand David and also interviewed Rick Heath and Ellen Sheehan from the show as well. It is a FANTASTIC article which shares some insights on the last few years of the show, the death of Cesareo and how it affected the cast and the reasons why the show closed and what is going on currently and what the future holds. 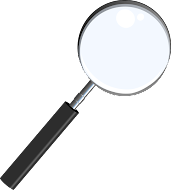 The issue can be found in the 'past issues Volume 4'. If you are interested in checking it out click the link, the issue costs $5.95 and is digital, so they will send you a link to download it. 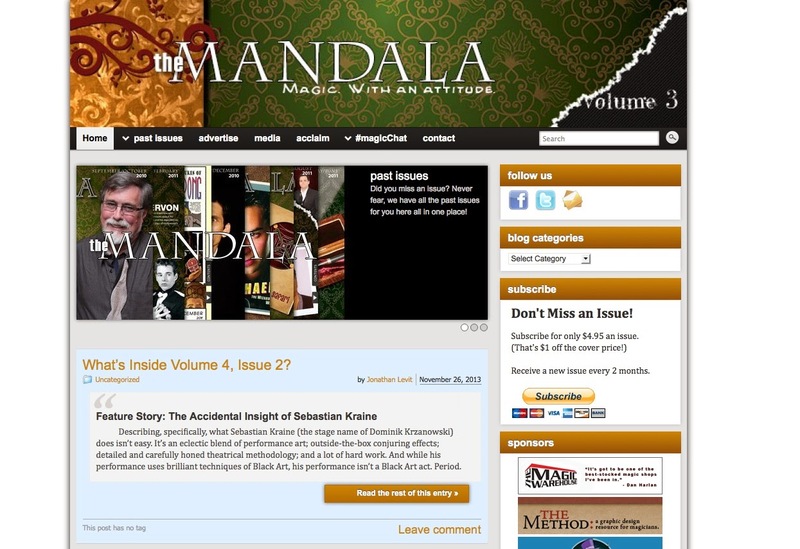 The Mandala Magazine is a product of and owned by Shawn McMaster.